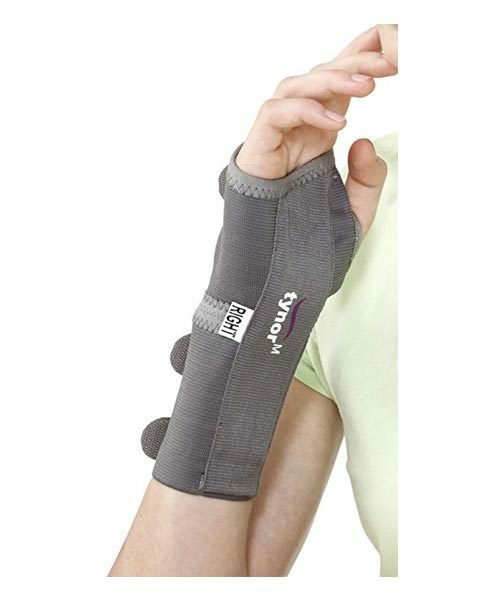 Tynor Elastic Wrist Splint provides proper support and immobilization of the wrist in cases of carpal tunnel syndrome. It also retains body heat to alleviate pain and inflammation. You all have been heard or taught about correct body posture but never gave a thought to it. Slouching, hunching over your computer, or just not sitting straight became a regular routine.Long hours of bad posture will lead to acute neck and back pain, which will worsen with time. Due to long work hours, many of you were having serious neck, back and lower back pain. To get rid of all your problems, TabletShablet helps to provide you with a perfect remedy to ease all your pains.Tynor, a solution to get rid of all your body aches and health problems by bringing quality products. The company was established in the mid 90's, when Indian customers were looking for world-class orthopedics products. In addition, the company also provides products at very reasonable prices. It aims to provide high quality and affordable products to people all over the country.A simple back and neck pain can lead to serious health issues like poor blood circulation, stress, Carpal Tunnel Syndrome, if not taken care timely. So, to avoid these health issues always try to look for quality products that can ease your pain without further causing any harm.To help get rid of all your orthopedic problems, TabletShablet offers a wide variety of Tynor products ranging from knee support, crutches to walking sticks. We understand how these pains can cause serious discomfort and affect your day to day life.We have Tynor knee cap and Tynor knee support in 4 different sizes to relieve pain and inflammation, generally associated with old age, arthritis or injury. In case of an ankle sprain, use Tynor ankle binder, to partially immobilise the ankle to reduce pain.As a post-delivery or post-operative aid, Tynor abdominal belt helps bind surgical incisions and improves healing. 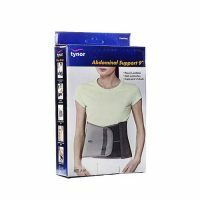 During mild backache, Tynor lumbar support belt serves as ideal back support.